We all know the hazards of candy and sugary treats on your teeth, but have you heard about the damage that can be caused by running things, like sugar water, down your plumbing pipes? In fact, lots of liquids, industrial chemicals and even food products can corrode metal plumbing pipes. The food industry is particularly susceptible to metal plumbing pipe corrosion due to the many different types of liquids that flow through their pipes. For example, bakeries, candy factories and soda manufacturers may have pipes that are dedicated to providing sugar water, carbonated water, milk and salt water to various delicious treats and drinks. All of these edible liquids are mildly acidic, which means over time, they can cause pipe corrosion. As the liquids flow through the plumbing pipes, they interact with the metal, and this is especially true if your industrial or food manufacturing pipes are made out of stainless or carbon steel or a steel or iron alloy. That interaction is often due to the liquids and chemicals being slightly acidic, which slowly eats away at the metal. When this occurs over a certain period of time, the metal can form pits, which are tiny holes. If your metal piping system had a lot of crevices or seams and joints, corrosion can also occur in the grooves. Unfortunately, all of this corrosion can lead to small and large leaks as well as pipe failures. Pipe corrosion can affect your manufacturing business by causing a slowing of the flow inside your plumbing pipes, decreasing pipe pressure and causing impurities in your products from leached chemicals and metals. All of these things can contribute to lower productivity, especially if you experience unscheduled downtime. 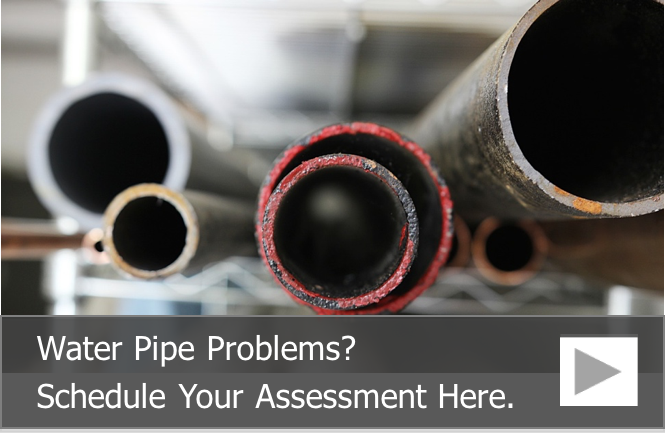 When your industrial piping becomes corroded and starts affecting your products, leading to downtime and backing-up onto your floors, you may think that it’s time to replace your industrial piping system. Thankfully, there are other options, like pipe lining from Nu Flow. 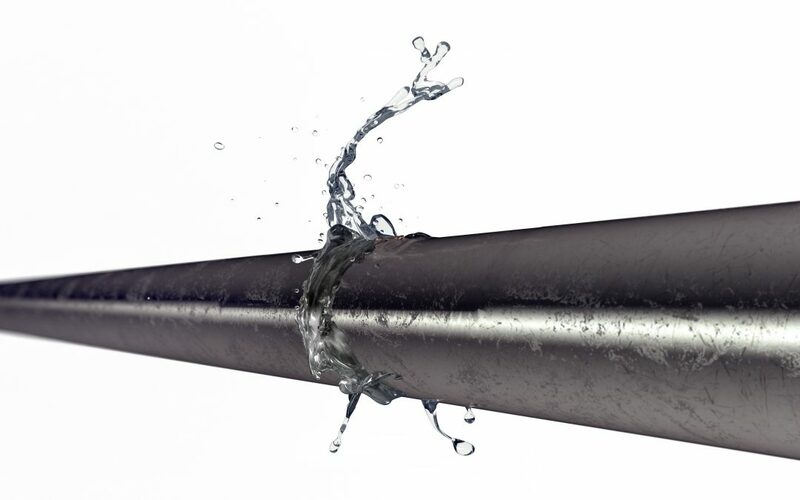 Pipe lining is a way to seal and fill cracks and leaks, maximize the internal diameters of your process piping system and prevent future corrosion and potentially product contamination. Pipe lining involves lining your pipes with either an epoxy resin or a liner soaked in epoxy. Once the pipe lining has cured, your liquids will no longer come into contact with the metal of your pipes. Instead, it will flow down the liner, which increases the useful lives of your plumbing pipes. To learn more about our pipe lining services for industrial plants and food manufacturing, call us today at 815-790-9000.